"I'm delighted that Andy Stewart has kindly made Pacha Du Polder available for Point-to-Points and potentially Cheltenham. It's great that an owner of Andy's stature is putting his faith in me to ride one of his horses." Leading racehorse owner, Andy Stewart, has made Pacha Du Polder, runner up in the 2015 Aintree Foxhunters, available to Victoria as she continues her ambitious bid, backed by Betfair, to compete at the Festival this year. 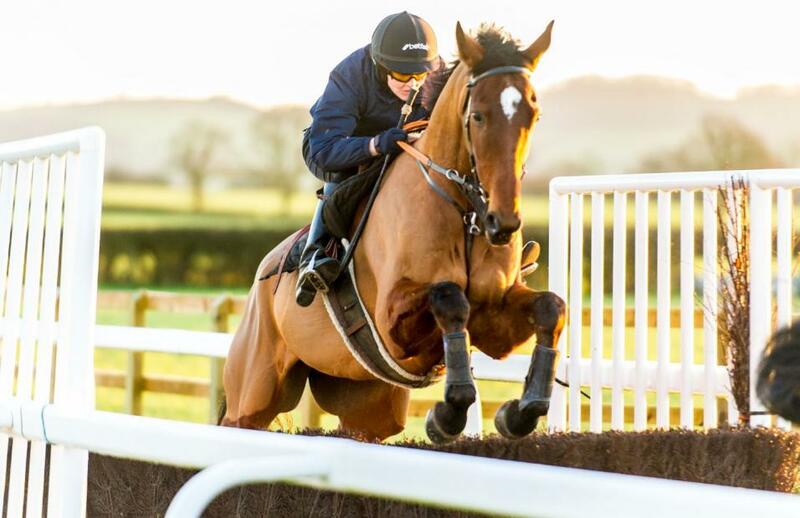 The nine-year old gelding, trained by Chloe Roddick in Somerset, is already qualified for the Foxhunters Chase, but in the first instance he is considered a fantastic addition to Victoria's roster of rides for the current point-to-point season. Victoria has now ridden in four point-to-points, getting round for the first time on Sunday when fourth on Supreme Danehill at Black Forest Lodge. She said: "I'm delighted that Andy Stewart has kindly made Pacha Du Polder available for Point-to-Points and potentially Cheltenham. It's great that an owner of Andy's stature is putting his faith in me to ride one of his horses." Stewart added: "The Stewart Family are delighted that Victoria will be riding Pacha Du Polder for us in point-to-points, and who knows maybe even at Cheltenham. It was thrilling at Aintree as he looked the winner until Nina Carberry joined him at the last and JP's On The Fringe beat us, so this year it might be a women's race....we are very excited about the coming months." Pendleton will now work closely with Roddick, while continuing her regular visits to trainer Alan Hill's. The former Olympian's quest to gain race riding experience is set to continue this weekend with Hill planning entries. "Victoria continues to make great progress and Black Forest was another step forward for her," he said. "This stage of the challenge is beginning to build important momentum and we are keen to continue giving Victoria as much experience of riding in point-to-points as possible. It's important to let people with suitable horses know that they can contact me with a view to Victoria riding them in point-to-points." Switching Saddles: Check out the Victoria Pendleton TV advert! #GoodLuckVP: Victoria Pendleton will ride at Cheltenham!